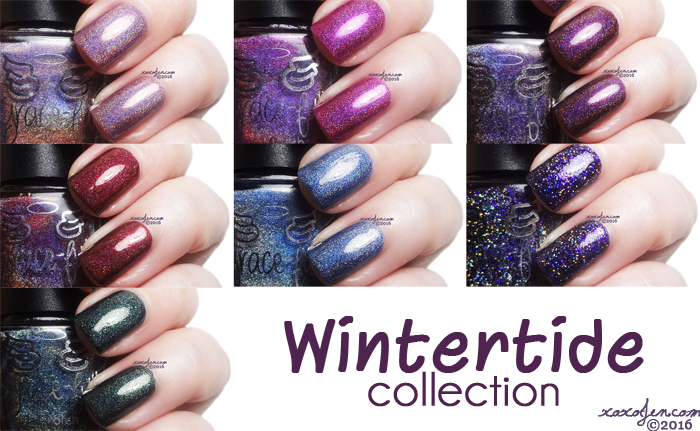 The Wintertide Collection is a range of seven beautiful holographic shades, some with flakes and some with shimmer! 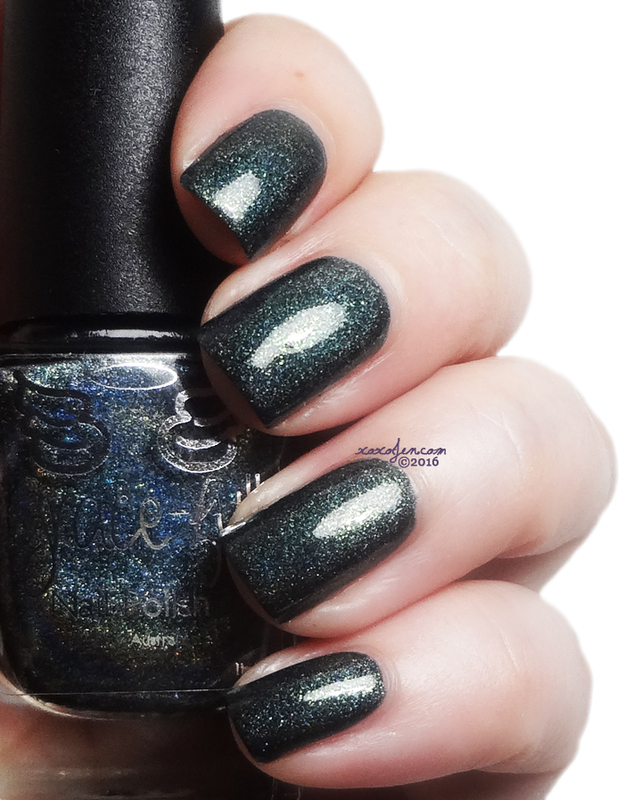 I've used two coats in each photo, all their formulas were easy to apply and smooth except for the microglitter polish - it was a little bumpy as could be expected. 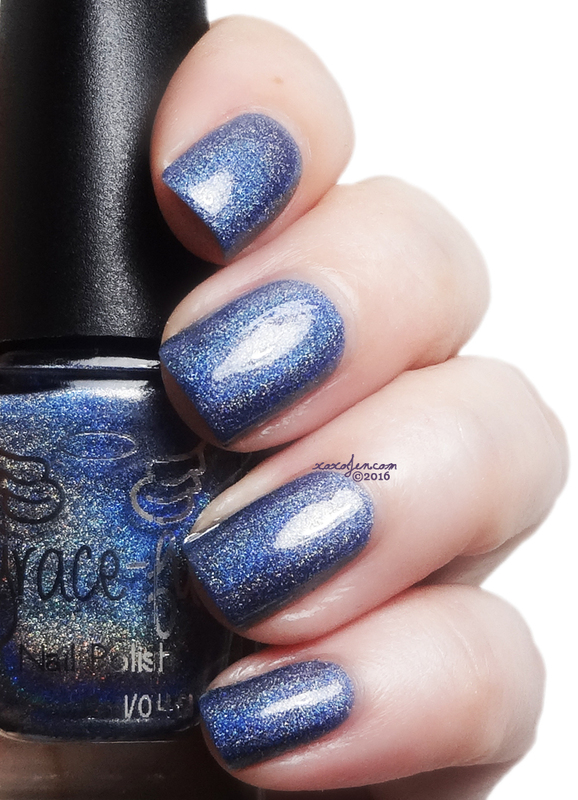 These polishes are available at the Grace-full online store and are currently on sale! 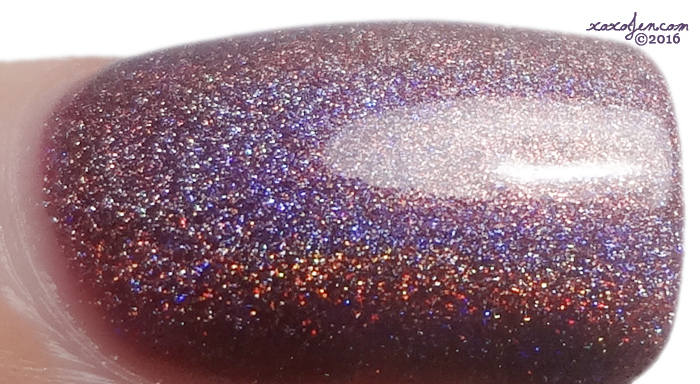 Marsala Leaves - Brown red linear holo with red metallic flakes. This was my favorite of the collection - photos just don't capture it's beauty. 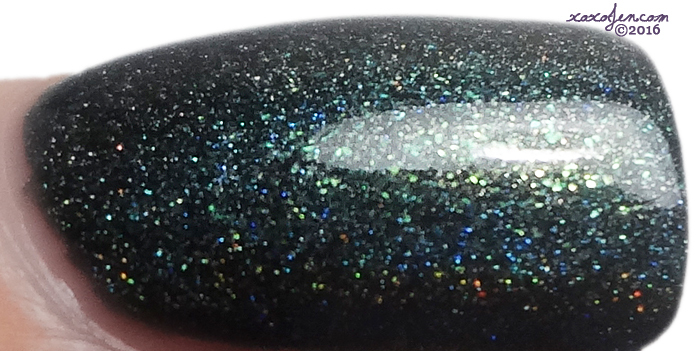 It's definitely one of those 'sleeper' or 'hidden gem' type polishes. I didn't want to take this one off! It was a really tough choice for me, as I really loved all of them. Especially since they're all part of my favorite color range. But I finally landed on Marsala Leaves, it has such beauty and depth! If you've enjoyed my review please show me some love by following me on facebook. There all very pretty. I like Taupe Fog the most. Aren't they though? TF is definitely an unusual shade, I love it too! 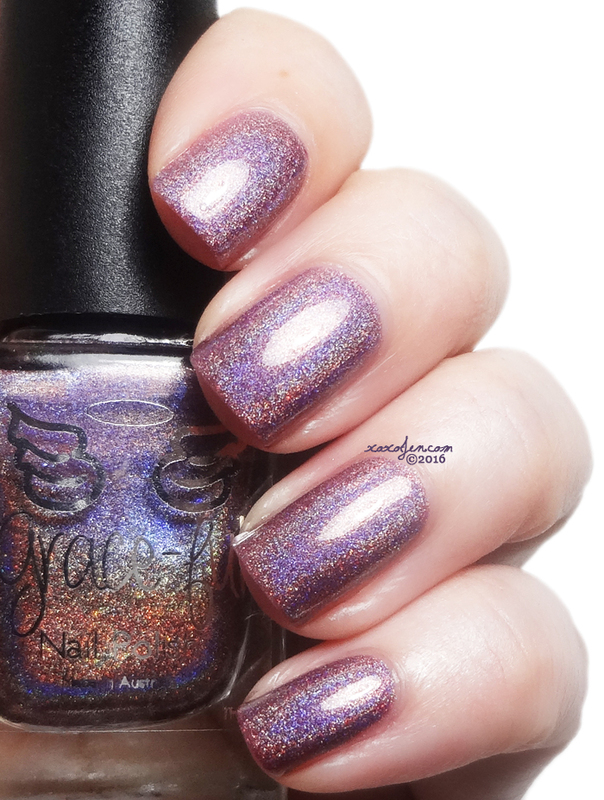 These are gorgeous polishes and your swatches are amazing! They are all gorgeous, but that deep red of Marsala Leaves is just so yummy! Isn't it though? Thank you! 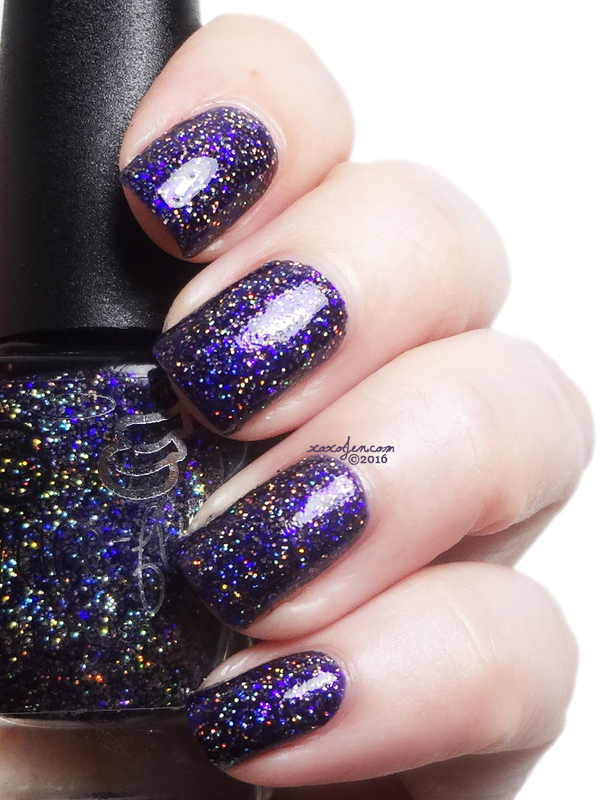 These are all stunning polishes. I'm going to need to try this brand out at some point. They have great formula, I agree that you should try them out sometime! Man these are all beautiful but Royal Boisenberry really stuck out to me. 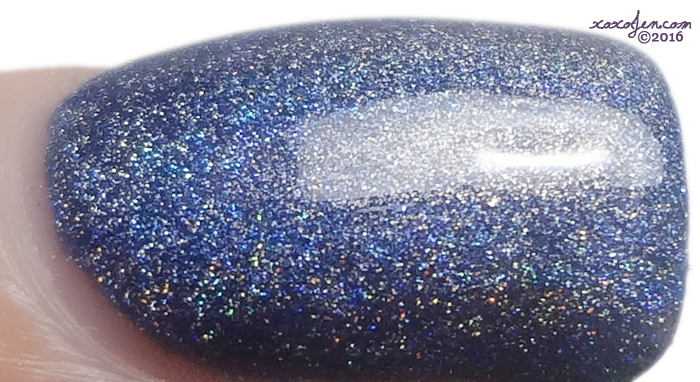 It is definitely an unusual blend of glitters - the purple in it is magical! Love all of these!! The royal is to die! Isn't it? I like that one too!